For many if not most Americans Memorial Day weekend marks the beginning of summer. For service members, veterans and families of the fallen, it means so much more. Army officer, Jaimie Leonard, wrote the following article for her local paper in 2010. Three years later she would tragically become one of the reasons we celebrate Memorial Day. When I was a young girl growing up in Warwick, I’m not really sure I really ever truly understood what Memorial Day meant. In my young mind, it marked a day where my mother would have us officially in white shoes for church. There would be neighborhood picnic barbecues, softball games and parades with the American Legion marching down main street. For me, a veteran was my grandpa who fought in WW II and all those older men who wore military-style hats with a bunch of pins in them. As I grew older, I appreciated it as a three-day weekend with time off from school or work. Even later, when I joined what was then a peacetime Army, I failed to truly appreciate the emotional significance of this holiday. Memorial Day felt the same as Veterans Day. It was a day to thank soldiers. Being one at the time I appreciated the thanks, but I still failed to correctly realize what it meant. It was not until I actually went to war in Iraq and when fellow soldiers in my unit failed to make it back from patrol did I truly internalize the distinction. It wasn’t until then that I truly valued how these brave men and women who died serving our country deserved their own day memorializing their sacrifice. Furthermore, realizing it is not only their sacrifice that requires recognition, but also their family left behind. My best friend lost her husband in Iraq and I think a piece of her also died that day. As I’ve gained more perspective, I’ve also regarded other concepts such as citizenship in a different light. Every day we hear about court cases trying to establish or expand the boundaries as to what our rights as citizens are. As citizens, we have the right to free speech, to freedom of religion, to work where we want if we are qualified, and to own guns. It is a rare day that I hear a conversation turn to what the duties of citizenship are for those who enjoy the rights protected by it. For those who have died for their country, they took measure of this duty and sacrificed their lives for it. It is my wish this Memorial Day that you consider your duties as citizens. The duty goes beyond serving in the Armed Forces, jury duty, taxes or voting. Your duties are to each other, not some esoteric concept. Remember those who paid the ultimate sacrifice for their country in war, but also honor those others who sacrifice in other ways to make this country great – law enforcement, firefighters, teachers, volunteers, etc. Please honor them in deed and not just giving thanks, parades, or planting flowers or flags on graves. Take measure of what have you done for your country and ask yourself if you could do more. 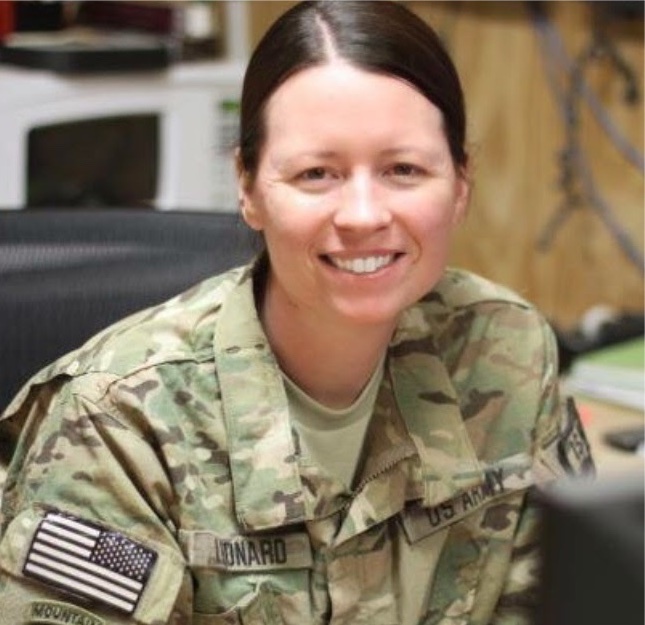 Lieutenant Colonel Jaimie Leonard was killed in action in Afghanistan June 8, 2013. Jaimie Leonard was a 1992 graduate of Warwick Valley H.S. in New York, a 1997 graduate of the United States Military Academy, and a 2007 graduate of the Georgetown Public Policy Institute. 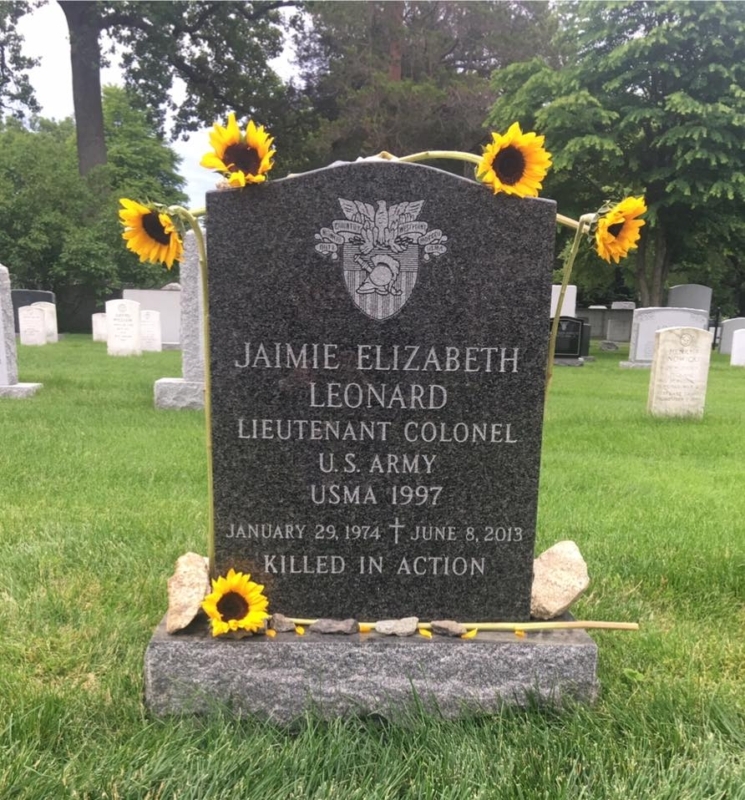 Jaimie Leonard has a special connection to faculty members and students in our Warriors at Ease community. Please consider donating to the Lieutenant Colonel Jaimie Leonard Scholarship Fund for Heroes. This is a scholarship fund that provides financial aid for women veterans and Gold Star family members (families of the fallen) to attend Warriors at Ease teacher training, wellness workshops and retreats.